The #1 rated bar in college area with 21 beer taps and 44 bottled beers. 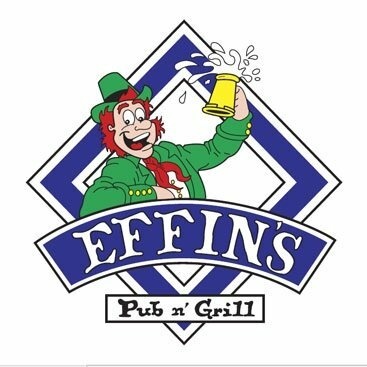 Students and locals will agree that Effin's is the game-day destination for any and all sports boasting the NHL & NFL packages alongside all of the heart pounding action of the UFC! Come in and enjoy a beer, play some pool, listen to live bands and have an effin great time at your local SDSU bar! Sunday 4-7pm: $1 off mules, $4 wells, 25% off drafts and appetizers. Monday 4-7pm: $1 off mules, $4 wells, 25% off drafts and appetizers. Tuesday 4-7pm: $1 off mules, $4 wells, 25% off drafts and appetizers. Wednesday 4-7pm: $1 off mules, $4 wells, 25% off drafts and appetizers. Thursday 4-7pm: $1 off mules, $4 wells, 25% off drafts and appetizers. Friday 4-7pm: $1 off mules, $4 wells, 25% off drafts and appetizers. Saturday 4-7pm: $1 off mules, $4 wells, 25% off drafts and appetizers.